Serving Winston-Salem, High Point and Greensboro and the N.C. Triad area for 42 years. “Thank you! I am breathing much better!" “Thank you for the great work! I certainly appreciate your support and professionalism!" "Thanks for the good job." Your trusted provider of heating and air conditioning in Winston-Salem, High Point, Greensboro and the NC Triad for over 42 years. 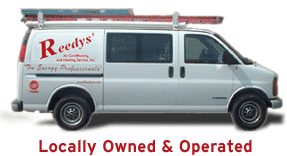 Copyright © 2012 Reedys' Air Conditioning & Heating Service, Inc.